Raleigh Briggs teaches us how to craft a sustainable domestic life without relying on smelly, toxic, expensive consumer products. And it's not as hard as we may think This hand written and drawn book of charming tutorials is both fun and accessible. It's full of simple skills that anyone can and should learn. From creating tinctures and salves to concocting all-natural cleaners and body products to gardening basics, this book is great for anyone looking to live more simply, create a comfortable nest, and truly do it yourself. 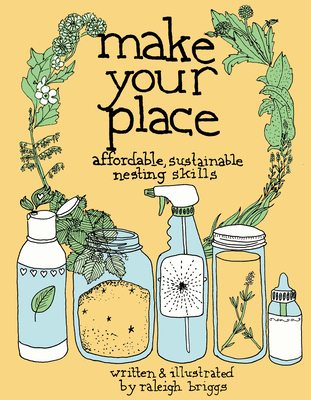 Raleigh Briggs is the best-selling author of Make Your Place: Affordable, Sustainable Nesting Skills, and of several DIY zines. She lives with her husband and two needy cats in Seattle, WA.